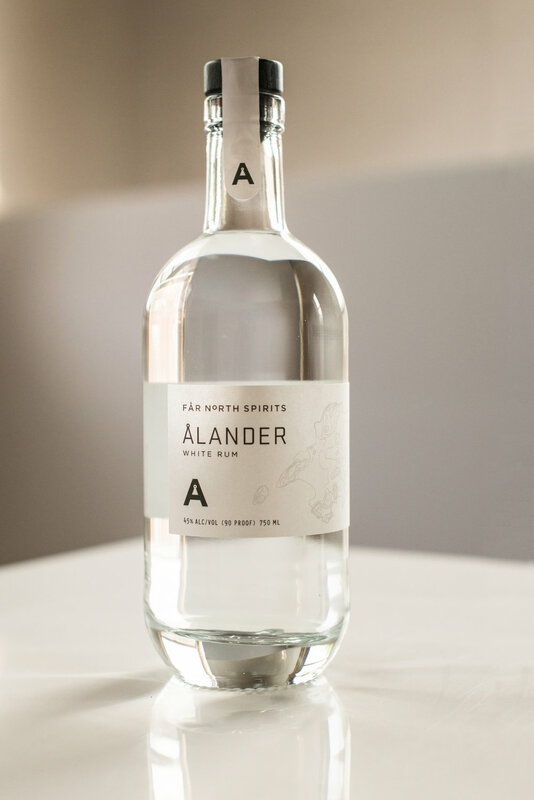 Ålander \OH-lan-der\ Demerara and turbinado cane sugars are craft distilled to produce a clean, clear artisanal spirit in the style of Guyana and Trinidad’s best rums. TASTING NOTES | Earthy smokiness on the nose initially gives ways to vanilla and caramel after aeration; dark coco, bittersweet on the palate with chili peppers and brown butter finish. Shake over ice and strain neat into chilled coupe.